As I noted yesterday, by the late seventeenth century April Fool’s Day was an established fact in Europe at least. With the formalized scheduling of a day free to prank without impunity, the challenge was on! Once again I will direct to The Museum of Hoaxes for historical examples. Here are a few I thought were fabulous and/or interesting. Throughout the 18th and 19th centuries cards similar to the one here from 1857 were handed out on the streets of London to unsuspecting tourists. Versions of the prank varied, some saying the lions were to be washed in the moat around the Tower while others instructed to enter through the “White Gate” which did not exist. Whatever the version, this so-called “white goose chase” prank sent gullible travelers to the Tower where, of course, there were no lions period, let alone being washed! 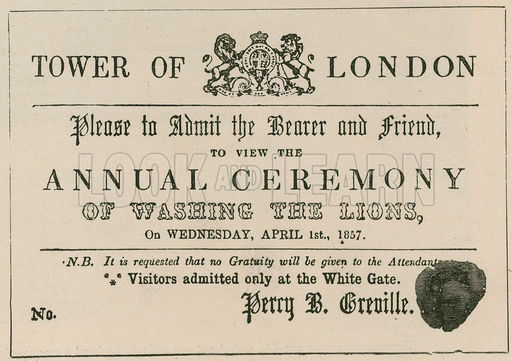 The “washing the lions” prank can be traced to the April 2, 1698 edition of Dawks’s News-Letter that reported “Yesterday being the first of April, several persons were sent to the Tower Ditch to see the Lions washed,” giving it the distinction as the oldest known April Fool’s Day hoax. In 2008 full-page ads and press releases announced the new dining choice for lefties, in which placement of condiments like pickles was rotated 180 degrees, “thereby redistributing the weight of the sandwich so that the bulk of the condiments will skew to the left, thereby reducing the amount of lettuce and other toppings from spilling out the right side of the burger.” Many people earnestly asked for the new sandwich, Burger King later releasing a statement saying it was all a cruel joke. 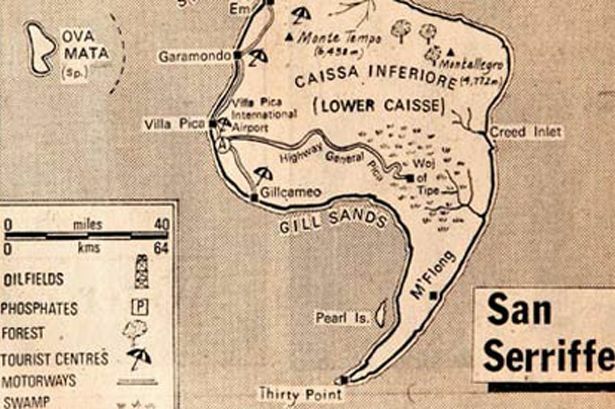 In 1977 the Guardian published a seven-page “special report” about San Serriffe, a small country located in the Indian Ocean consisting of several islands that make the shape of a semi-colon. The two main islands were called Upper Caisse and Lower Caisse. They did an in-depth series of articles on the history, geography and daily life on these idyllic islands. 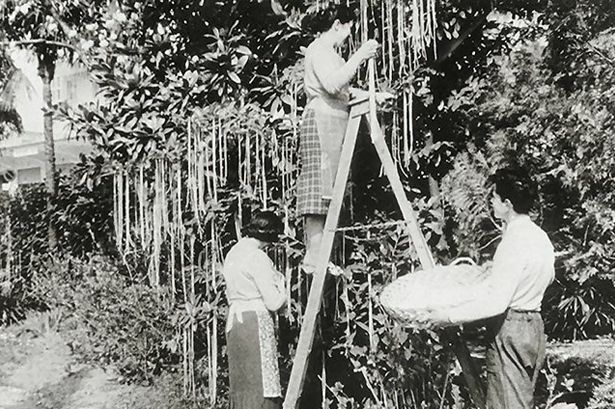 The Guardian’s phones rang all day as readers wanted more information about the perfect-sounding fictional holiday spot, and the hoax began a tradition in newspapers to try fooling their readers. How about all of you? Anyone been the brunt of an April Fool’s prank, or perhaps been the devious-minded prankster? ← The Origin of April Fool’s Day. . . Maybe! No we’re not that clever 😉 And also I cannot lie for the life of me. I give it away too easily, it’s written all over my face !! Yes my husband and I were fooled real good 😉 Our cousin called one evening to say that his Mum had just arrived from overseas and she wanted to catch up with us immediately, no time to waste! We were stunned that she had arrived in the country. She had never been to Australia before and my hubby hadn’t seen her in years! She had always been difficult to deal with too, much like Lady C 😉 so we were a little apprehensive about the meeting. Yet we still raced over to our cousins place at his insistence to see our Aunt. We were greeted at the door by a very smug cousin singing April Fool!!!! Terrible consequences for some of these hoaxes you detailed above! That is funny! I can so easily imagine the mixed emotions over visiting with a Lady Catherine type person on short notice! Did you ever get your cousins back?